Mommy Maestra: A Dinosaur Train Giveaway! This coming Monday is an active one on PBS KIDS. In addition to Baby Margaret's debut on Daniel Tiger's Neighborhood, PBS KIDS will premiere “Classic in the Jurassic,” an all-new, one-hour special from The Jim Henson Company’s hit series DINOSAUR TRAIN. Do your kids love dinosaurs? Mine do. There is a drawer full of the plasic extinct animals in my son's room. Ever since he first saw the series, my son has talked about becoming a paleontologist. I've nurtured his interest in science with books and toys, crafts and activities. As with most 8 year olds, his career goals change almost every day, but dinosaurs remain one of his favorites. In Monday's special, our kids travel through time with the Pteranodon family to an Olympic-type competition in which dinosaur teams representing three Mesozoic time periods compete in contests. Following the special, new episodes of Dinosaur Train will air on PBS KIDS throughout the week! Your kids will learn about carnivores and herbivores, deserts and more. 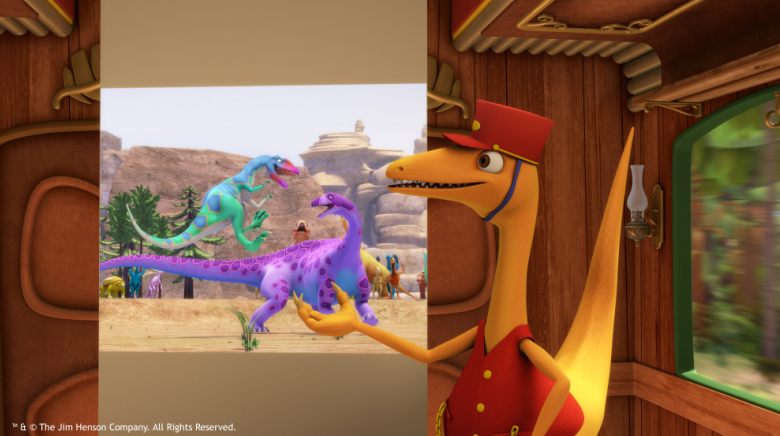 Clips and full segments from “Classic in the Jurassic” will be available on pbskids.org, the PBS KIDS Video App, and on Roku and Apple TV starting on August 18. And on August 26, “Classic in the Jurassic” will be available on DVD through PBS Distribution. 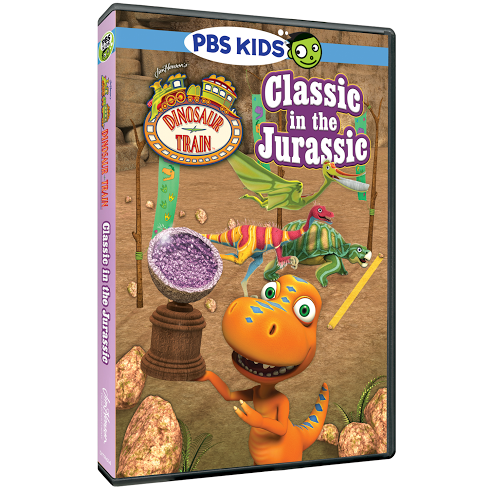 One lucky MommyMaestra reader will receive a Dinosaur Train Prize Pack that includes the Classic in the Jurassic DVD and other fun goodies!